The battle on tuition fees may have been won. But in order for Quebec’s student activists to develop and counter the new government’s ‘backdoor’ austerity, they must make use of the documented memory of student movements from around the world, including the British texts Fight Back! and Springtime. 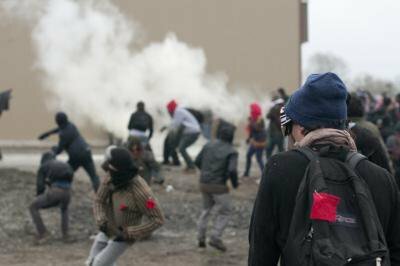 Much has transpired in Québec since I first read two anthologies from the forefront of student-led, transnational social movements: Fight Back: A Reader on the Winter of Protest (openDemocracy, 2011) and Springtime: The New Student Rebellions (Verso, 2011). Today, the Québec student movement have the ball in our court, once again. It's time to take some lessons from the origins, trajectory and development of student movements in Britain, Quebec and around the world. In what follows I provide an update on the Québec student movement since the momentous strike in Spring 2012. I argue that a re-engagement with these two activist texts could help us build the sustainable, accountable movement we need to move onto the next level. 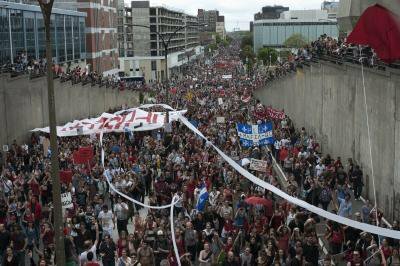 A little more than a year ago, on May 22nd, 2012, the Québec student-led protest movement had a momentous day. We marked the 100th day of strike activity with a 400,000 strong march through the streets of downtown Montreal. The strike in fact continued for another 34 days, making it the longest student strike in Quebec history. Over a period of four months last year, students and their supporters gathered at 8:00 p.m. every night before marching through Montreal’s downtown core, each one of them donning their carré rouge, a small red-felt square on a shirt or a bag, the symbol of the movement. On May 17, the Liberal government passed a special law designed to crush the strike, one that many commentators considered to be unconstitutional. Defying this law and its punitive fines, citizens throughout the province engaged in civil disobedience and risked arrest by taking to the streets with pots and pans. They did this in the spirit of the cacerolazo, a form of popular protest practiced throughout Latin America in open defiance of fascist dictatorships, market fundamentalism and neoliberal austerity measures. While the Québec police were violent before the passage of the anti-protest provisions of Quebec's Law 12 and Bill 78, especially in relation to racialized, immigrant and indigenous communities, there was a marked increase in police brutality against student protestors after the passage of Law 12. Arrests of youth and students surpassed the number jailed during the 1970 Front de libération du Québec (FLQ) crisis when martial law was declared in Québec. Over three months, thousands of protesters were arrested, many through kettling, a widely condemned police tactic of encircling protesters (and bystanders who happen to be near them) and pursuing mass arrests. As the movement began to involve, with more and more non-students outraged by the Liberal government’s handling of the student strike and draconian measures to squash dissent, an election was forced. During a tense September 2012 election, with the help of the student movement, Quebec voters handed the Parti Québecois (PQ) a minority government. Despite the immediate success of the student strike in continuing a short-term tuition freeze (a primary PQ platform promise), overturning parts of the draconian Bill 78, and the perceived victory of a PQ government, the principle of accessible and independent academic institutions remains under threat in Quebec. Many progressive and radical student activists and scholars—many belonging to the Coalition large de l'Association pour une solidarité syndicale (CLASSE)—remain critical of the new government’s attempt to impose “quality control” as part of a global move to further commodify and marketize higher education. Despite having worn the red square signifying support of the student movement throughout their campaign and suspending the tuition hikes upon their election, in early December 2012, the PQ government outraged many student activists when it announced an immediate cut-back of $140 million from junior college and university budgets for the 2012-2013 school year. In February of this year, the PQ made the announcement on the first day of a long-awaited education summit in Montreal that they would go forward on indexing university tuition by three per cent a year—citing this decision as a “form of compromise” since “free tuition in the current economic climate cannot be envisaged”. These two decisions made by the PQ revealed their “back room” austerity agenda for higher public education and complicity with furthering neoliberal ideals. For many students and activists, especially those from communities of color, this was not a surprise. There had been serious doubts about the election of the PQ ushering in an era of positive social change. During the campaign, the PQ leadership introduced several thinly veiled racist and xenophobic proposals to their separatist election platform. If Marois had won a majority government, she would have made it illegal for Québec civil servants belonging to religious minorities to wear their religious garb in public: No hijabs for Muslim women, no yarmulkes for Jewish men and no turbans for Sikh males. Only Christians would be allowed to wear a crucifix, and the crucifix in the National Assembly would be allowed to remain as a symbol of Québec’s culture and history. Given the longstanding historical links between Québec Nationalism and struggles for Francophone access to education, and the challenge of (and in some cases resistance to) this narrative undergoing anti-colonial, anti-racist revisions; and given the position that the PQ has occupied historically in the context of Québec sovereignty, movement spokespeople remained virtually silent in relation to the PQ agenda consolidating Québécois identity as belonging to secular and Christian white-settler Francophones. Student activists in CLASSE have consistently opposed the PQ leadership and have made the links between the neoliberalization of higher education and the role of colonial capital in expropriating Indigenous land and displacing racialized migrants. Early on, CLASSE had developed a student-led Social Struggles Committee, which included women of colour, fostering relationships with important migrant justice leaders and groups. For example, CLASSE disrupted deportation hearings alongside migrant justice activists and passed a motion to support the regularization of Mexicans through their relationship with migrant justice group Mexicans United for Regularization (MUR). CLASSE also denounced the Plan Nord—the Québec government’s plan to exploit natural resources and aboriginal lands by mining interests, under the pretense of consultation, economic development, and protection. On March 15, the day of Montreal’s annual anti-police brutality march, it was clear that the very right to protest is under assault in Quebec. While the PQ campaigned heavily on a promise to repeal the wildly unpopular Bill 78/Law 12, Montréal municipal bylaw P-6 remains in force. The municipal bylaw requires that protests must submit their route for approval by the police 24 hours in advance and it also allows Montréal's Executive Committee to prohibit any peaceful assembly indefinitely, at their discretion and without notice. Since the annual anti-police brutality march on the 15th and the student protests on both March 22nd and April 5th, over five hundred people have been pre-emptively arrested, held for hours in the cold kettles Montréal police formed around them, cuffed, processed and slapped with fines of the arbitrary amount of $637. The majority of protestors are contesting the tickets and little by little, more people are putting themselves are the forefront. Now, with Spring, the days are getting longer and the protests hotter. Stay tuned. We in the Québec student movement have a chance today to make real change. We must not give up. By erroneously thinking we had won one battle to halt tuition hikes, we temporarily lost the war. If we stop now and submit to PQ colonial, racist and neoliberal polices as well as to state violence and police intimidation tactics, then we have truly failed. But if we continue to mobilize to create a long-term, cross-sectoral and transnational social movement, then we have effectively won. By engaging in social struggle, we have generated new knowledge, questions, and theory and have learned in social action how to build a movement that has the potential to outlive, outlast, and outplay the neoliberal austerity agenda of the settler colonial state. To do so, we must learn lessons from around the globe, and from our past. Fight Back: A Reader on the Winter of Protest and Springtime: The New Student Rebellions remain essential reading for the Quebec movement. We need to mine both for innovative tactics and strategies. For example, Québec and Canada badly need to jumpstart our own version of the British UKUncut and False Economy to challenge a new wave of neoliberal cuts, heightened regressive taxation policies, and the rapid privatization of education, health care, and prisons. We also have a lot to learn from the global movements outlined in both anthologies—from to the 1968 Third World Liberation Front strike originating at San Francisco State University to the indefatigable student movements rocking South America. 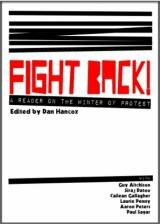 Fight Back: A Reader on the Winter of Protest is exemplary in its commitment to learn through social action and to document the complex and contradictory processes involved in social movement building. As such, it continues to offer an important blueprint on how we—in the Québec student movement and in particular, the Student of Colour Montréal (SoCM) coalition—can challenge the Canadian and Québécois neoliberal and white settler states. Since the emergence of the protests in Québec, members of SoCM have engaged in collaborative projects exploring our critical reflections and counter-storytelling as active participants within the Québec student strike. 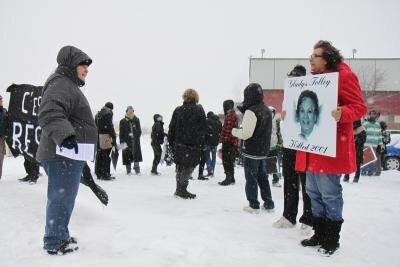 We have explored its many alignments and contradictions, our diverse social locations and the various indigenous sovereignty movements (in particular, the Idle No More Movement), as well as labour, prison abolitionist, and racial and migrant justice movements. Like the collaborators in Fight Back, our current collaborative work serves as an alternative to the isolating model of the traditional academic classroom. Fight Back and Springtime and our own emergent activist-scholarship can provide insights into how accountability can be structured. Many members of the SoCM coalition operate with the assumption that their work is imperfect, that they are likely to have unintentionally overlooked or excluded highly marginalized and vulnerable groups, and that their strategies and structures require perpetual re-evaluation. Re-reading the personal essays in Fight Back, written by teenagers and university students, drove home to me the fact that process is just as important as—perhaps even more important than—the outcome. We need to produce and circulate more counter-stories like those put forward in both anthologies. In particular, we need to explore how we have come to engage in the frontlines and/or sidelines of social struggle and how we emerge/evolve as activists dedicated to fighting for a collective future. The stakes are high for all of us, not only within the province of Québec. We now have important reserves of activist scholarship around student movements that allow us to look back in order to move forward. Our growing collective archive forces open a space from which we can make the marginal less marginal and push it into the centre. In solidarity, we promise to be in the streets with you. 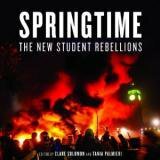 Click here to read Lena Palacios' October 2012 review essay of Fight Back: A Reader on the Winter of Protest and Springtime: The New Student Rebellions. The review essay was originally published in TOPIA: Canadian Journal of Cultural Studies.